Nipper the Jack Russell who was taken by a mystery man in a van more than a week ago has been found safe and well. The dog was handed in to the RSPCA and owners Wendy and Gary Roche are on their way to collect him. A major online campaign was launched by the family from Polegate appealing for their much loved pet to be returned. 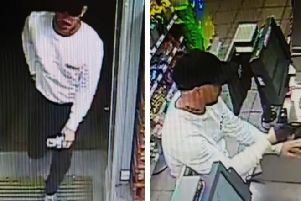 He had last been seen on Sunday June 28 on Pevensey Bay Road outside ASDA opposite Kingsmere after getting out of a garden. It is believed he was taken by a balding man in his 40s who was driving a white or silver van with writing on the side. He told passers by he was taking Nipper to a vet as he had details on his collar. But the little dog disappeared and particularly hit Gary hard as he suffered a brain injury and Nipper is his constant companion. The family also has another dog called Smudge who was pining for Nipper. The online campaign was called Make Nipper too Hot to Handle. Today the online campaign page said Nipper had been found, his chip checked and he was being reunited with the family.